VANCOUVER, BC – Luppolo Brewing has announced the release of its latest limited edition bottled beer. Amarena is a barrel aged mixed fermentation sour made with fresh local Montmorency cherries from the Fraser Valley. Fermented with a mixed culture of several strains of Brettanomyces, Saccharomyces, and Lactobacillus, then aged for a full six months in red and white wine barrels on the cherries, and finally bottle conditioned with Brett Brux, Amarena is fruity, funky, complex and bright! 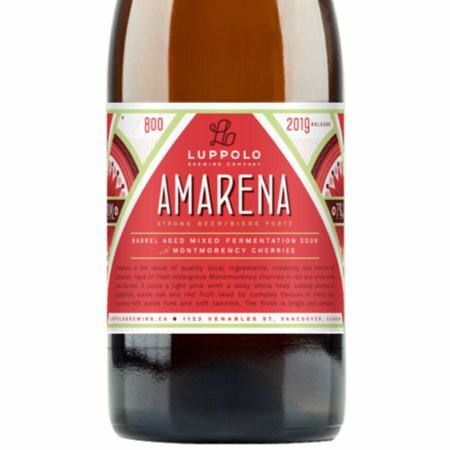 Amarena will be released tomorrow (April 13th) and will be available at Luppolo while supplies last.